Following the events of Aliens: Resistance, Alec Brand, the colonist rescued by Amanda Ripley and Zula Hendricks, has grown up into an elite Colonial Marine. A secret mission brings him back to the alien-infested moon where he was rescued . . . and face to face with the past. 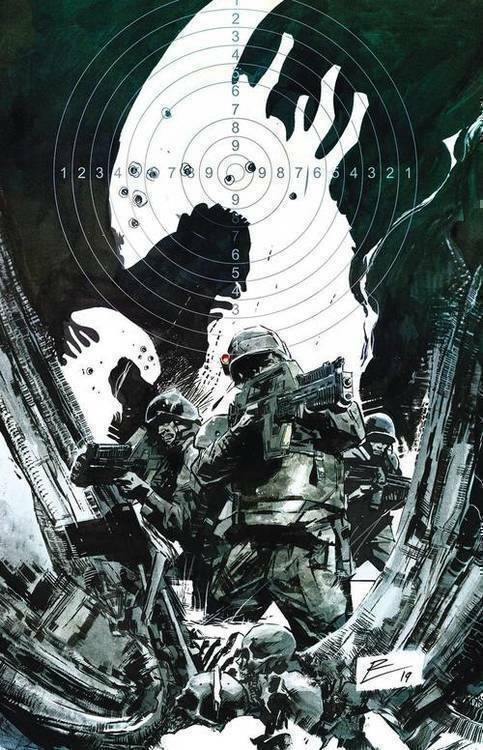 o Written by Brian Wood of Aliens: Defiance and Aliens: Resistance. o Find out the fate of Amanda Ripley after Aliens: Resistance. o Zula Hendricks and Alec Brand return!